Hitcents has announced that Draw a Stickman: EPIC 2 is coming to Nintendo Switch on January 11, 2018. It will be available digitally via the Nintendo eShop for $6.99. Draw a Stickman: EPIC 2 is a unique adventure game that allows you complete creative freedom as you guide your Stickman through a fantastic world filled with amazing creatures! Use an assortment of pencils, tools, and weapons to save your Friend from the evil ink. The adventure continues in Drawn Below​ as you descend into a surprising new environment and embark on your next mission. 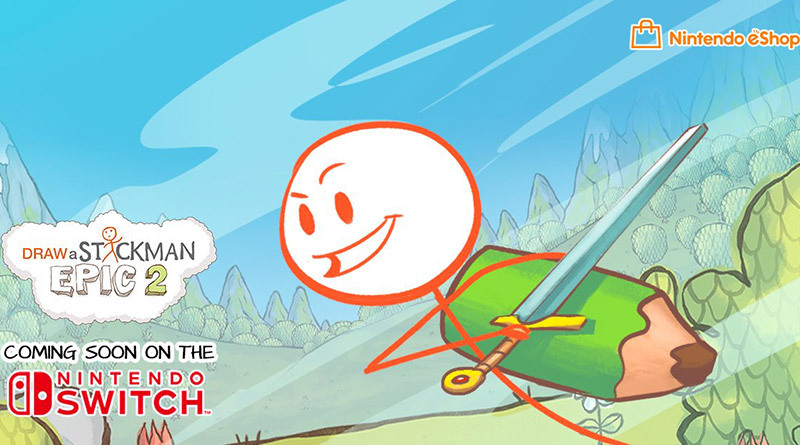 Experience Stickman in a whole new way, and defeat the evil ink once and for all. Embark on a perilous journey through time! Draw your Stickman and create a friend! But be warned… disaster falls upon your ally! It’s up to you to become the hero! Maneuver your way through the magical world of EPIC 2 in a quest to save your partner!